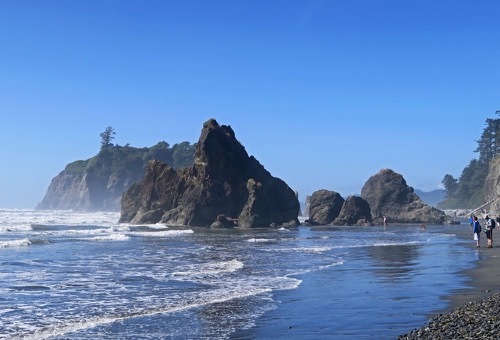 From the mountains to the sea, explore the varied ecosystems of Olympic National Park while enjoying the cozy comfort and hospitality of an Olympic National Park lodge resort. 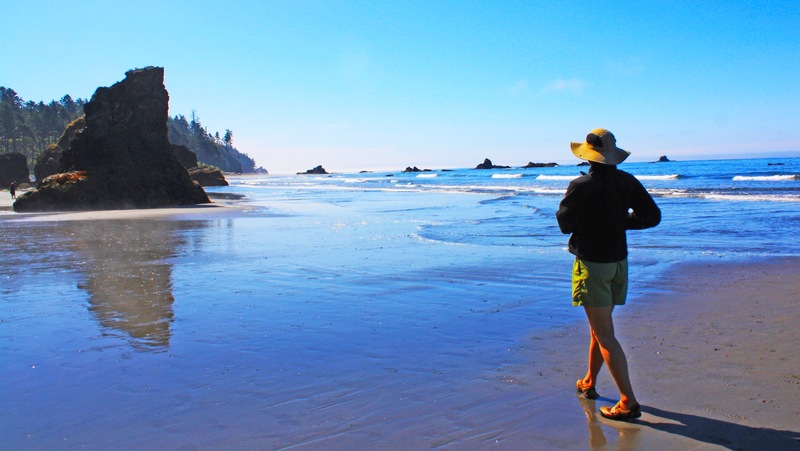 Hike the longest stretch of coastal wilderness in the lower 48 states and witness fascinating tidal pools, scenic beaches, and amazing sea life. After a day or two, you’ll understand why Olympic National Park is internationally recognized as a Biosphere Reserve and World Heritage Site. The old growth forests of Sitka spruce, western red cedar and hemlock are magical places to explore. These massive trees soar to the heavens while protecting thick carpets of mosses, ferns, and wildflowers below. Watch for elk and black-tailed deer while listening for the whistle of the Olympic marmot. Trek up Hurricane Ridge and view majestic Mount Olympus, still covered with glistening white glaciers. 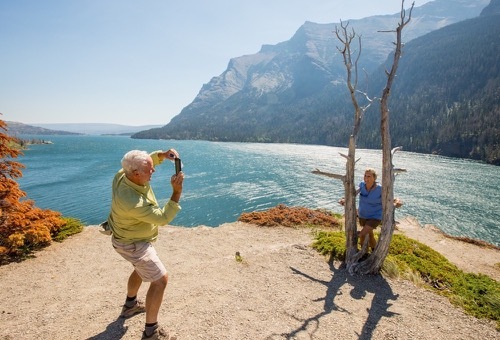 Bring your camera; the scenery will take your breath away! Day 1: Welcome to Olympic National Park! 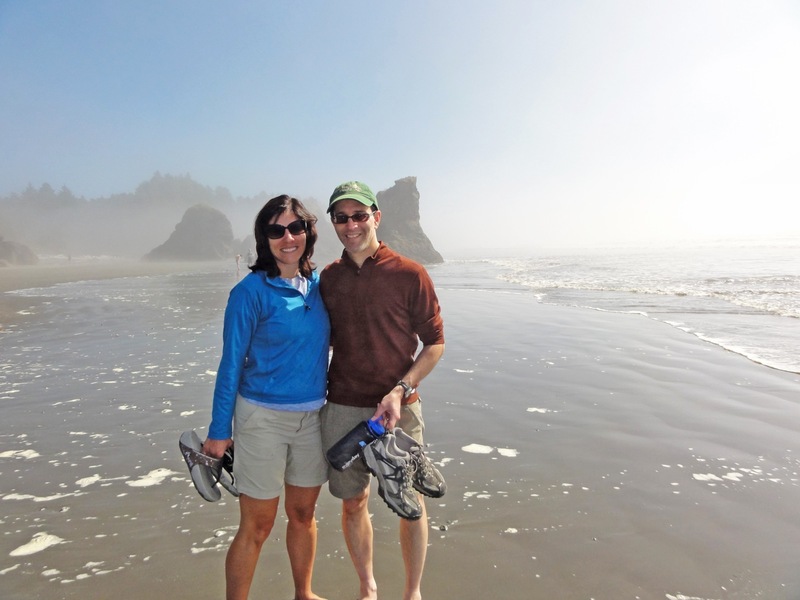 Drive from Seattle to the Olympic Peninsula and settle into your lodging. 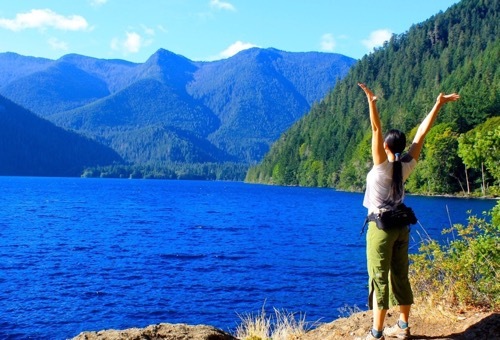 Set on the shores of Lake Crescent, this scenic area is the ideal base for exploring Olympic National Park. 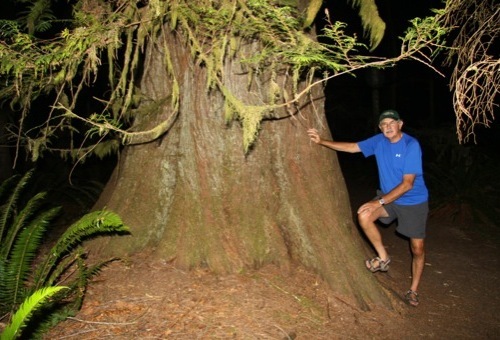 Take an afternoon hike on a nearby trail among towering old growth forest, then enjoy dinner together. Day 2: Enjoy hikes to the Lover's Lane Loop and Marymere Falls. After breakfast with great coffee, drive to the Sol Duc Valley and hike the Lover's Lane Loop through old growth forest, past a waterfall, with spur trails to alpine lakes. In the afternoon, hike to Marymere Falls from the trailhead just minutes from the lodge. Day 3: Take in views from Hurricane Ridge and hike the surrounding mountains. Enjoy learning about the area at the Hurricane Ridge Visitor Center. Then take a hike in the surrounding mountains. You will be amazed at the change from the coast to 6,000 feet elevation. Day 4: Explore the magical Hoh Rainforest and the rugged coastline. Spend the day hiking among old-growth spruce, cedar, and hemlock in the magical Hoh Rainforest. 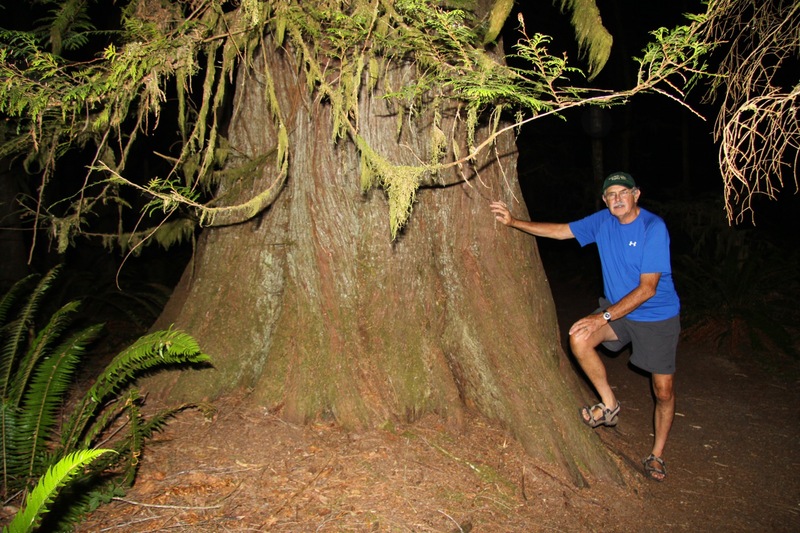 If you love big trees, you will love the Hoh. There are many trails to choose from–both high and low elevation. Visit Ruby Beach before returning to the lodge in the afternoon. Ruby is part of the longest contiguous stretch of protected coast in the lower 48. Don't forget to take a look for the teeming marine life in the tide pools! Day 5: Enjoy one last hike before arriving in Seattle via ferry. 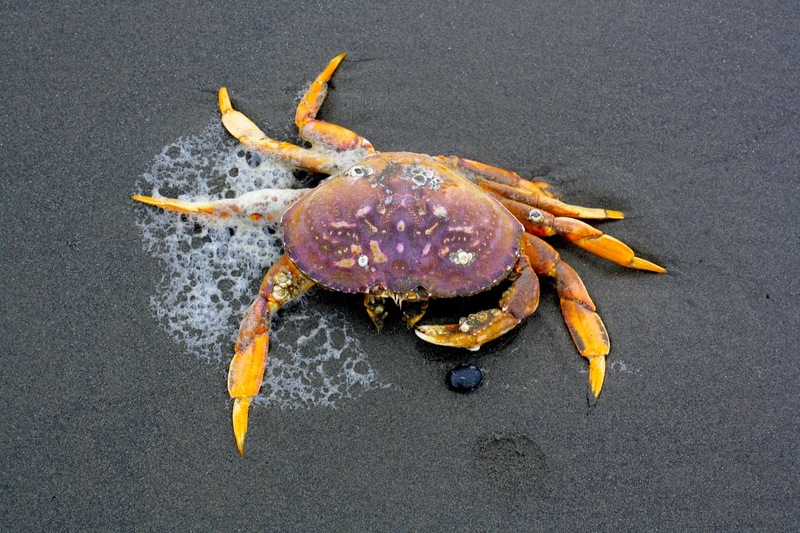 Pack up and take one last morning hike near the lodge or at Dungeness Spit National Wildlife Refuge on the drive back to Seattle via the Bainbridge Island Ferry. The trip officially ends at 11 am so please plan flights no earlier than 5 pm in order to have time to get to the airport. TERRAIN/ROUTE CHOICES: Olympic National Park has varied terrain. The coast is sandy, with intermittent boulders, headlands, and sea stacks. The rain forest is fairly gentle, with mud and tree roots to negotiate. 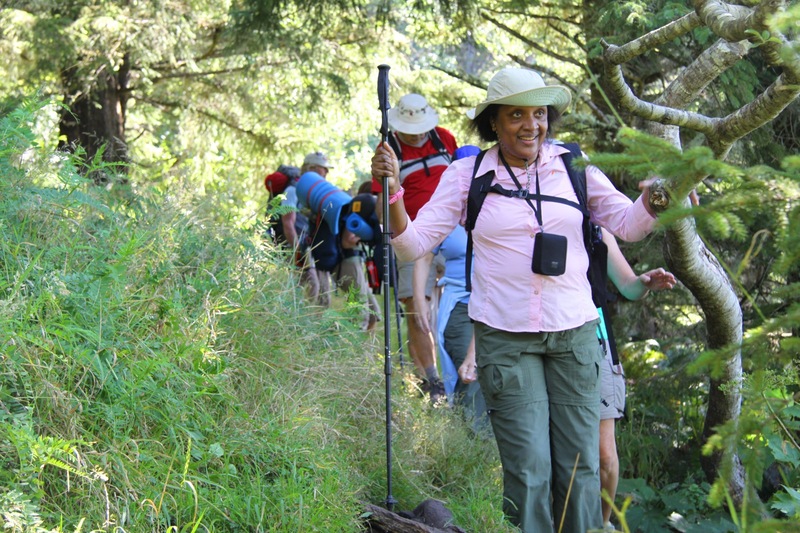 You will enjoy several different ecosystems as you go from sea level to 6,000 feet. TYPE OF TRAVEL/DISTANCE: We will travel moderate distances each day (3-6 miles), with plenty of opportunities for exploration. The hiking is not strenuous, although one should expect to walk on uneven terrain. While no previous experience is necessary for this trip, it may be challenging if you are not comfortable walking 5 miles in a day. 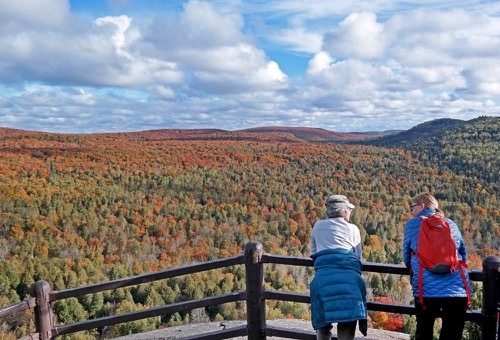 Other options may include shorter hikes or enjoying a good book by the lake if you wish. WEATHER: Temperatures range from 45 F to 75 F. Rainfall can vary and you should expect some rain. The Hoh rainforest gets over 140 inches of rain annually while the coast gets significantly less. Good rain gear is essential. 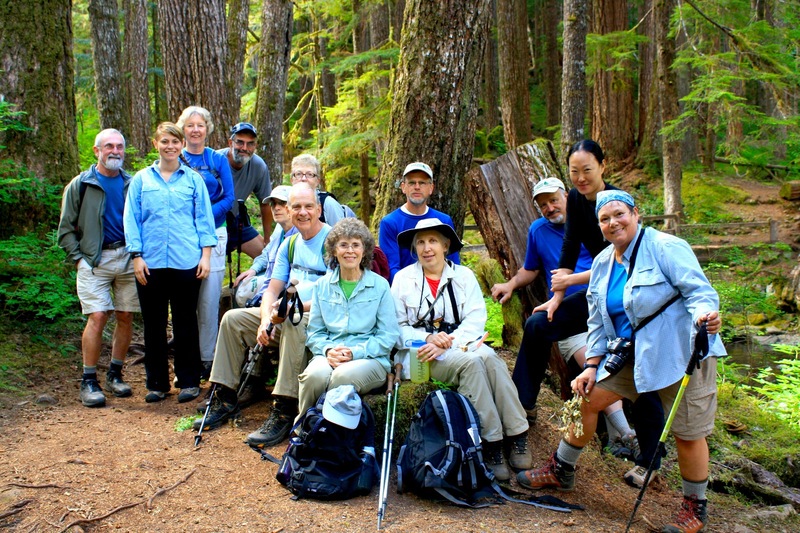 YOUR GROUP: The group size ranges from 6 to 10 participants, plus 1 or more Wilderness Inquiry staff. Each group consists of people of various ages, backgrounds and abilities, including people with disabilities. Our trips are cooperative in nature. WI staff will assist you in whatever areas you need, however most people pitch in where ever they can. ACCOMMODATIONS: You will stay in a scenic and comfortable Olympic National Park sponsored lodge on the north side of Olympic National Park. This lodge will have all modern amenities. Most cabins or rooms are double occupancy with two beds. Participants will be paired by gender or requests to room together. MEALS: Eat breakfasts together at picnic tables looking out over the lake. During the days’ activities, carry trail lunches and snacks. Dinners will be at the resort, nearby lodges, or local restaurants. We’ll enjoy happy hours together, though the purchase of alcoholic beverages is not included in the trip fees. 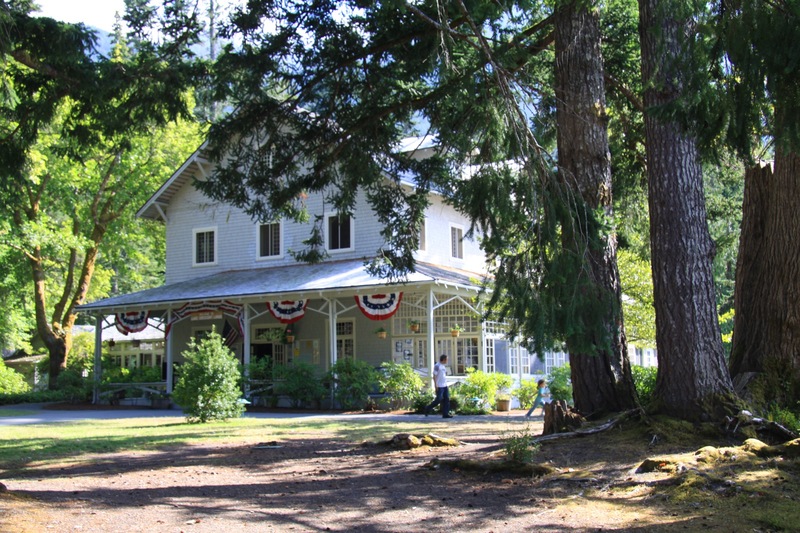 This trip begins at Lake Crescent Lodge in Olympic National Park at 3:00 PM. The trip ends at the same location at 11:00 AM. By car, the lodge is a 3-hour drive from Seattle. You can take your own transportation or for an additional charge use WI's van transportation from the Sea-Tac Airport Comfort Inn, which leaves at 11:00 AM. Participants riding in the WI van will be returned to the Sea-Tac Airport or Sea-Tac Comfort Inn at approximately 3:00 PM. Flights home should be scheduled to depart after 5:00 PM. Booking a flight? We recommend flying into the Seattle-Tacoma International Airport before 10:00 AM, and flying out no earlier than 5:00 PM on the last day of the trip. Detailed meeting place instructions will be sent to you when you are confirmed for the trip. 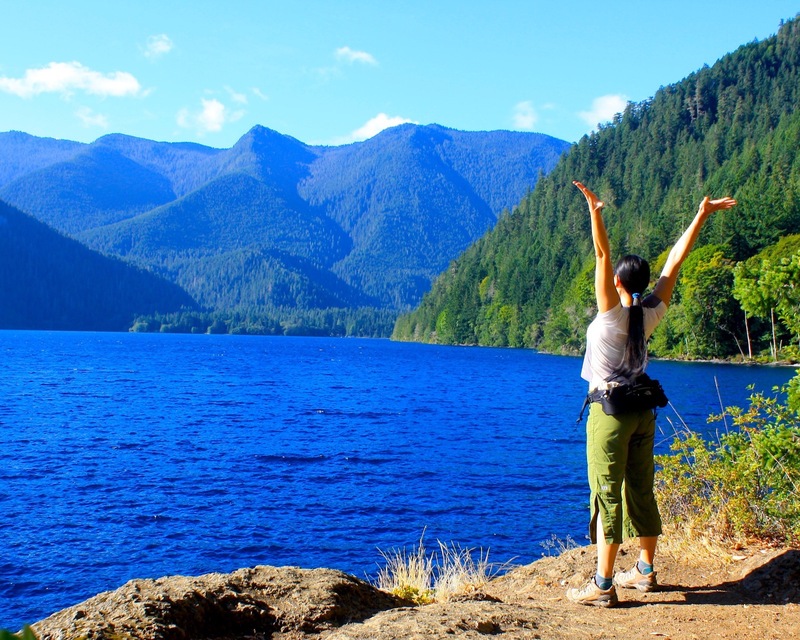 Do you have a single supplement for Olympic National Park Hike and Explore? You can elect to guarantee a single room for the duration of the trip for $645 during the registration process. Washington state’s Olympic National Park offers visitors a diverse and stunning world; a fog-shrouded coast with booming surf and wave-manicured beaches, spectacular alpine country dotted with sparkling lakes, lush meadows, glaciers, and North America’s finest temperate rain forest. 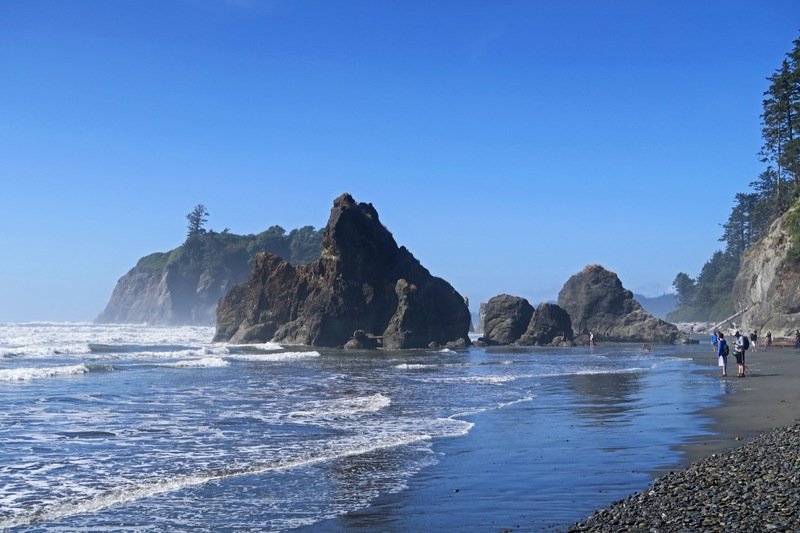 Located on the Olympic Peninsula west of Seattle, Olympic National Park also includes 73 miles of wilderness beach along the wild Pacific coast. American Indians have lived here for thousands of years, both along the coast and in the interior reaches of the peninsula. Their primary form of subsistence came from the sea and rivers, as well as berries, roots, and land mammals. Cedar served as the most important material resource, used for everything from house planks to canoes. Cedar bark provided clothing and baskets, even towels and diapers. In 1592 the first European, Juan de Fuca, may have come along these shores. Reliable information of European exploration, however, began in 1774 when Juan Perez sailed along this coast. In the next 25 years a bevy of British, American, and Spanish explorers visited the area. Robert Gray, an American, and George Vancouver, an Englishman, conducted the most enduring exploration work. Both men explored the area thoroughly, establishing rival claims to this land for their own countries. 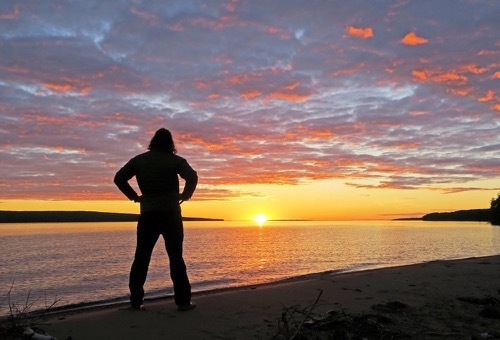 Eight Olympic Peninsula tribes continue to recognize a relationship to the park based on traditional land use, origin, beliefs, mythology, and spiritual beliefs and practices. These tribes are the Lower Elwha Klallam, Jamestown S’Klallam, Port Gamble S’Klallam, Skokomish, Quinault, Hoh, Quileute, and Makah. It was the ancestors of the these tribes that lived throughout the Olympic Peninsula, but ceded their lands and waters to the federal government through treaties in 1855 and 1856 and now live on reservations along the shores of the peninsula. Although American Indians utilized and traveled throughout the mountains of the peninsula, the first systematic documented exploration of the interior of the Olympic Peninsula did not occur until 1885. That year Lieutenant Joseph P. O’Neil led the first documented expedition into the interior. In 1889-90 the Press expedition led by James Christie made a north-south crossing in five and one-half months. In 1890 Lieutenant O’Neil returned and made an east-west crossing. Slowly a movement got underway to set aside some of the peninsula as a national park. 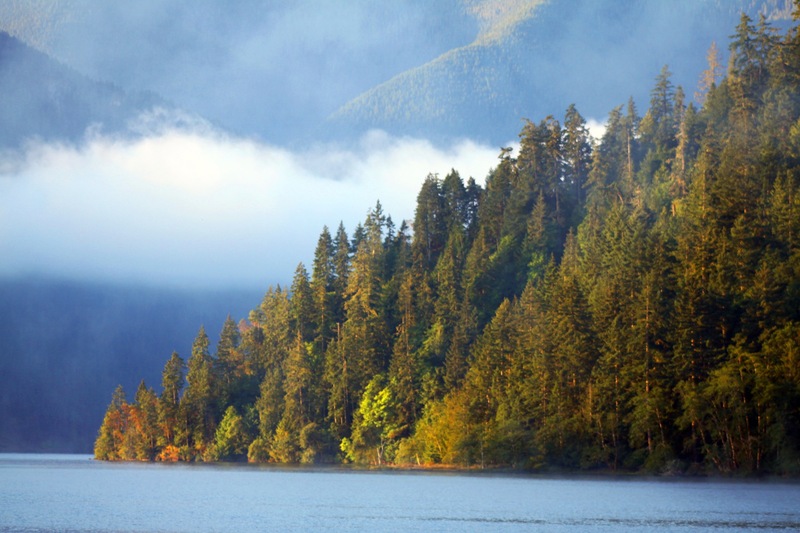 In 1897 President Grover Cleveland created the Olympic Forest Reserve, a portion of which President Theodore Roosevelt designated a national monument in 1909. In 1938, President Franklin D. Roosevelt signed legislation creating the 922,651-acre Olympic National Park, and in 1988 Congress designated nearly 96 percent of the park, or 876,669 acres, as wilderness. Olympic remains a place for the soul to expand and for the mind to be refreshed with the beauty of life. 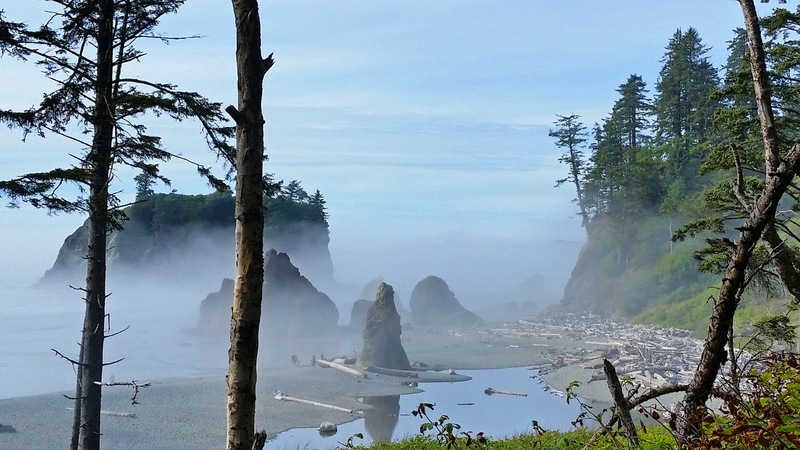 Olympic National Park contains a host of superlatives. Over 3,000 miles of rivers and streams flow through the park. Sixty named glaciers remain high in the mountains. Over 1,450 native plants thrive in the park. Olympic National Park harbors 16 species of endemic animals (meaning found nowhere else in the world but in the Park) as well as 8 species of endemic plants. 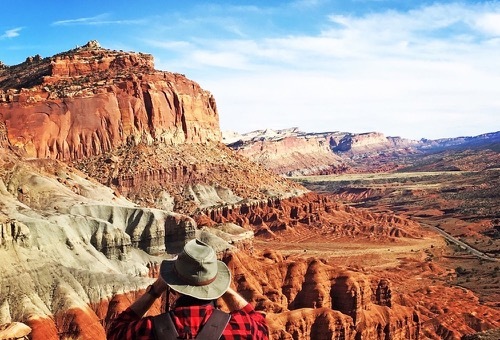 The Park contains over 650 archeological sites, as well as one National Natural Landmark, Point of Arches. Over 300 bird species live in Olympic, as well as 56 mammal species (24 of which are marine mammals). 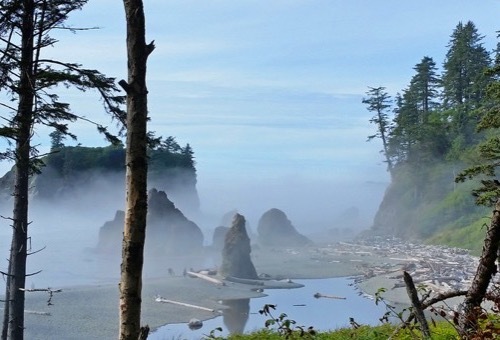 Because of these spectacular natural features, Olympic National Park accounted for over 3 million recreational visits in 2005.